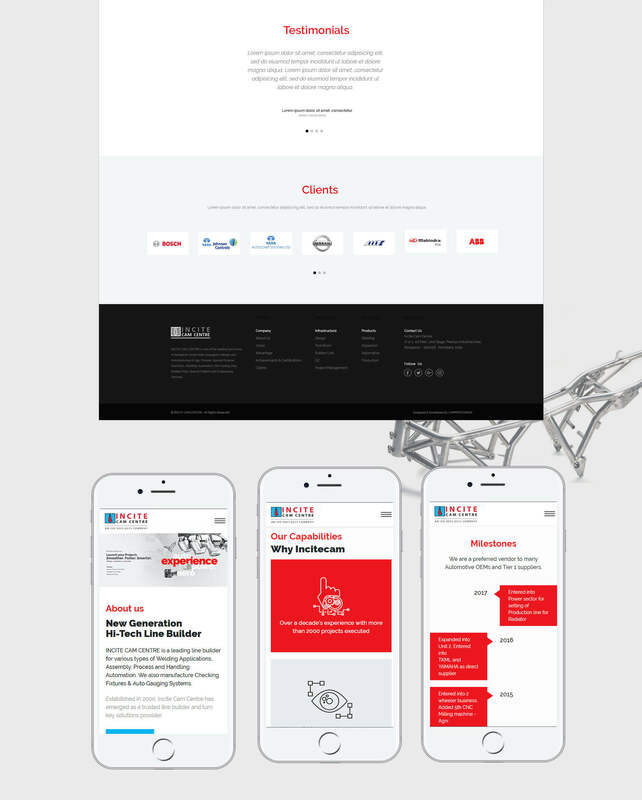 Modern, futuristic design for a new generation hi-Tech line builder. 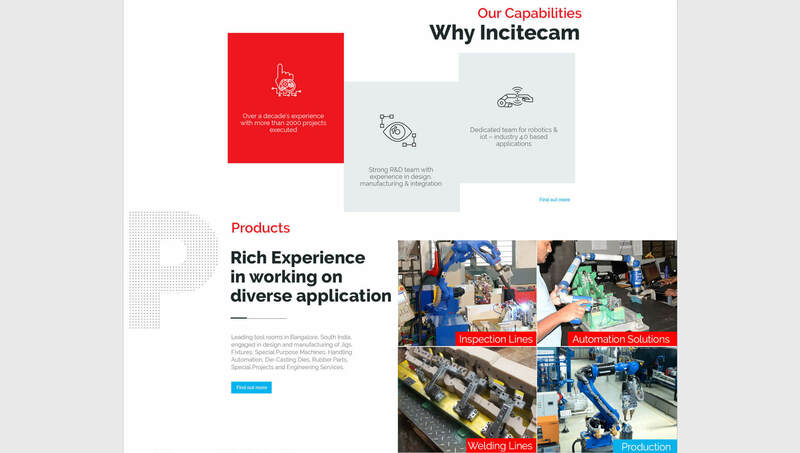 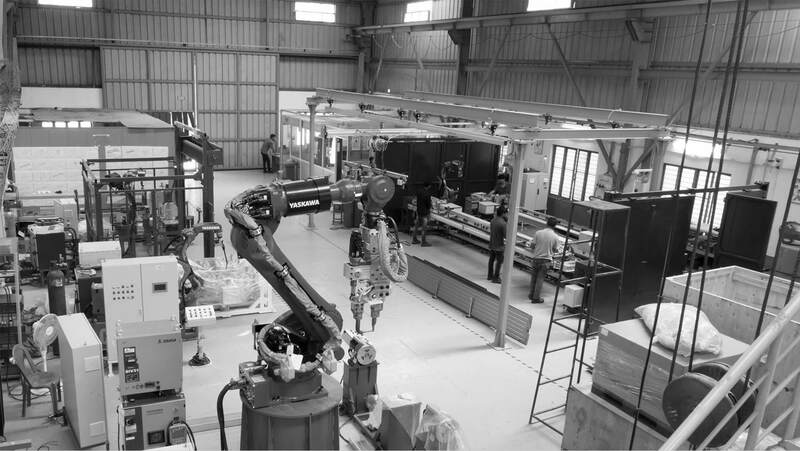 INCITECAM CENTER is a trusted name in the hi-tech industry for building welding, assembly and process applications. 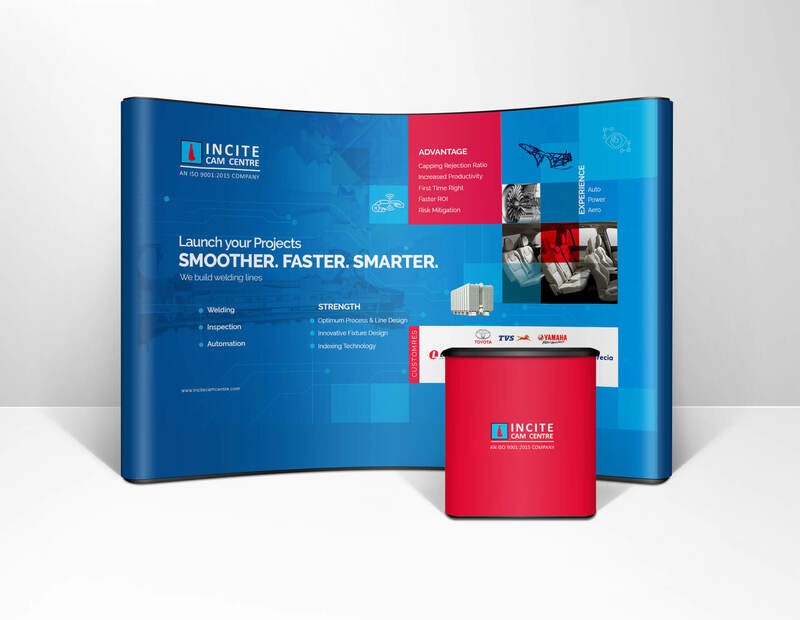 The client approached us for a redesign of their corporate website and exhibit design. 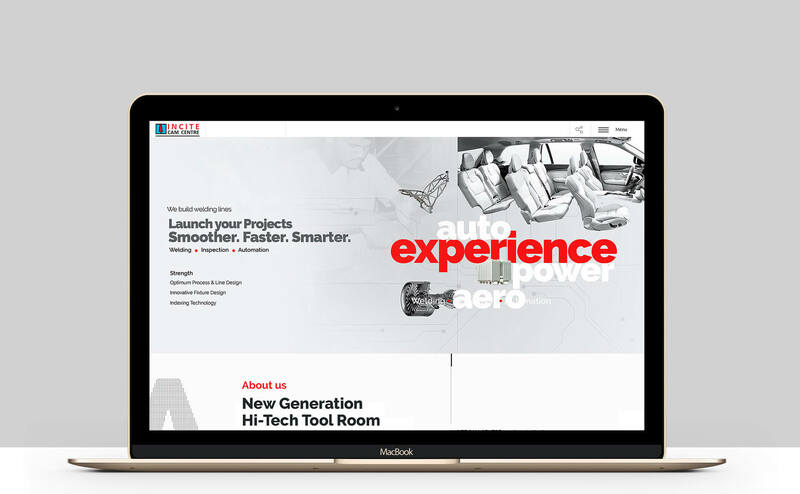 The goal was to offer global buyers quick access to their offerings in the auto industry. 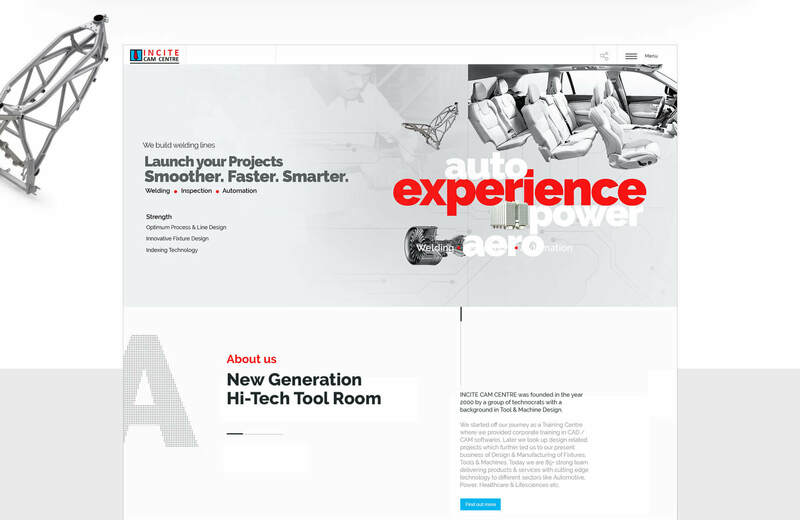 We re-launched their corporate website with modern-day, futuristic design. 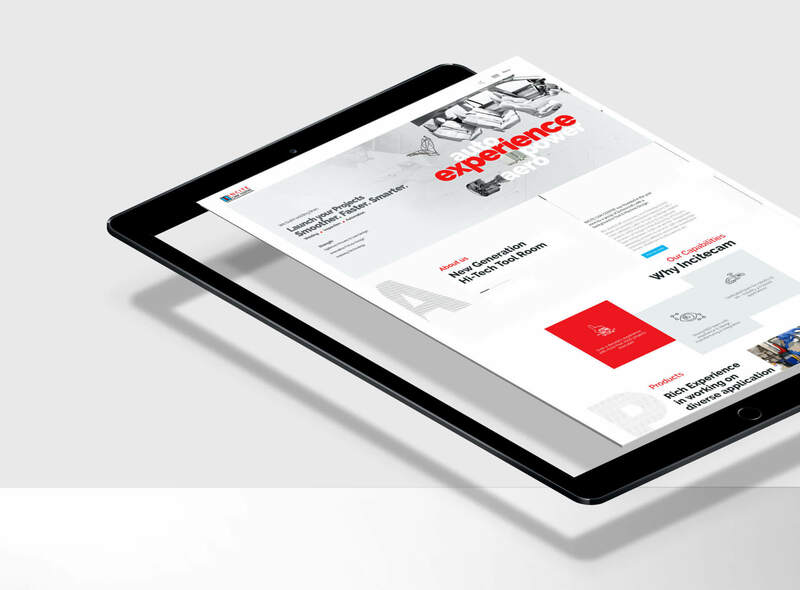 Combing innovation and digital craftsmanship, we engineered best solutions and created a robust, consistence branding across all mediums – print and online. 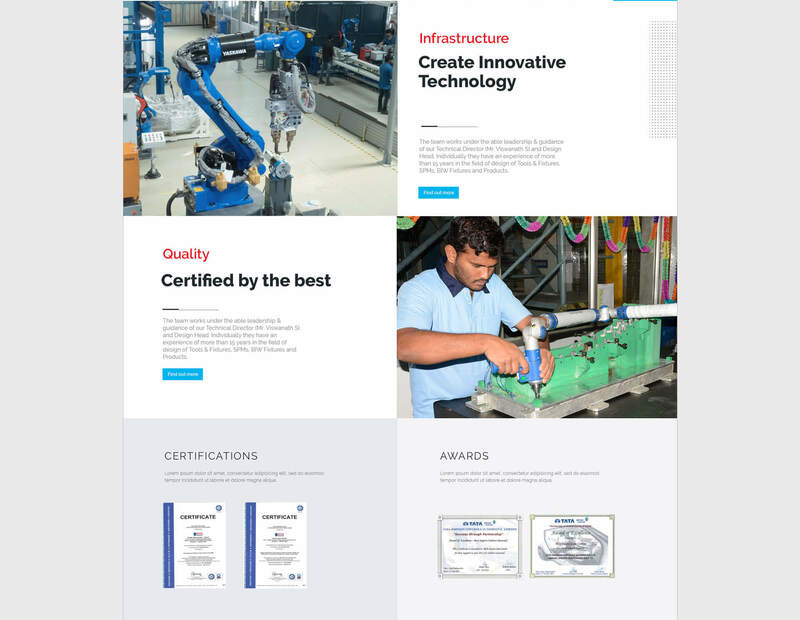 The client appreciated our efforts and applauded our creative solutions.